EVE Online is arguably the most polarizing, genre-defying, and interesting MMORPG on the planet. It’s a complete sandbox experience that embraces its difficult nature and cutthroat universe. And unlike most MMORPGs, EVE Online doesn’t hold you by the hand and guide you along with signposts. You need to forge your own destiny or die trying. New players can sign up with a free 14-day trial (or a 21-day trial if you can find someone who will refer you with the Buddy Program), which is enough time to get a taste of what the game offers. Not sure if EVE is the game for you? Here are 5 reasons to play EVE Online 5 Reasons To Give Eve Online A Second Chance 5 Reasons To Give Eve Online A Second Chance Over the past few years CCP Games have made changes to help newbies dig into Eve’s massive universe, and they’ve paid off. Read More . 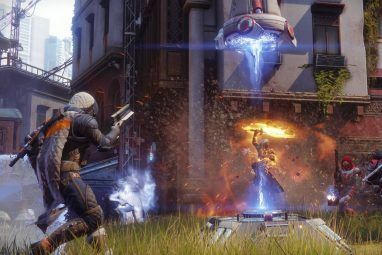 If you’d rather not pay a subscription at all, check out these awesome free-to-play MMORPGs The 10 Greatest Free MMORPGs To Start Playing Now The 10 Greatest Free MMORPGs To Start Playing Now The landscape of MMORPG gaming has never been better than it is today. 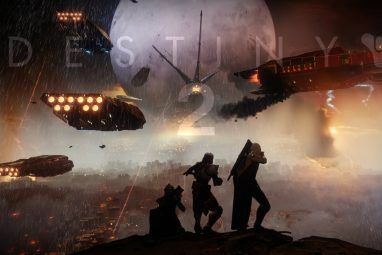 Some may pine for the good old days when games like Ultima Online, Everquest, and Dark Age of Camelot dominated the scene,... Read More instead. After running the tutorials, you may find yourself at a loss of what to do. No worries! Here’s a breakdown of the different activities that an EVE Online newbie may enjoy. Missions provide the bread and butter gameplay for new EVE players. The entire tutorial system is built on the mission structure so you’ll quickly learn the ins-and-outs of it: visit an agent, accept the mission, go out and do whatever they tell you, then return for your reward. It’s simple and easy, which makes it a great way for newbies to get comfortable. Security: These missions are mostly based on combat. You’re sent out to clear a section of space and sometimes you’ll need to retrieve a special item from the resulting wreckage. Mining: These missions send you out to certain sections of space to mine special ore that can’t be found elsewhere. They also involve combat, but not to the degree found in security missions. Distribution: These missions involve picking up goods from one station and transporting them to another. They’re pretty leisurely when compared to the other mission types so you can relax and do other things while traveling. There are other types of missions, but they tend to be some mixture of the above. For the most part, missions don’t require a large time investment (some can be finished in just a few minutes) so they’re great when you’re bored and just need to kill some time. The act of traveling around the universe and visiting various systems. The act of scanning down special sites that are otherwise hidden in space. There are many different kinds of sites that can be discovered with exploration, and they each offer different types of useful rewards. Data and Relic Sites are great for newbies because they’re easy to complete and offer tangible loot. Exploration is also how you can find wormholes to wormhole space, but that may not be the safest activity for a newbie. What’s fun about exploration? The fact that they’re open to anyone who can scan them down. When you arrive at a newly scanned site, someone might be there already. Or, while you’re clearing a site, someone may arrive after you. It’s a competition against others to maximize your rewards and it can even lead to outright PVP, which is also fun (see below). 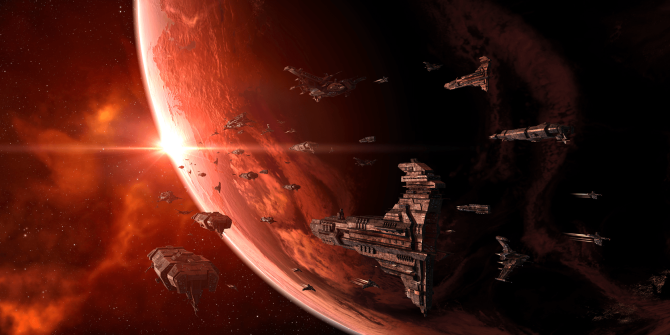 One huge differentiating feature of EVE is that, in many ways, the economy is the game. 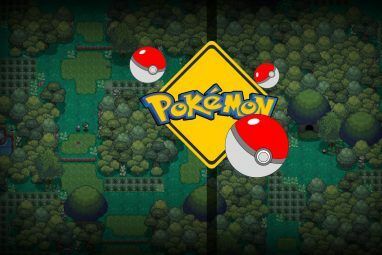 It is entirely player-centric and player-driven. Very few items are sold by NPCs, which means players must either loot or manufacture items to bring them into existence. That’s why mining is so crucial. Mining is a straightforward activity. You fly out to a section of space with low population, you search out asteroid belts, and you mine them for ore. There’s always the danger of running into someone hostile while mining but it’s avoidable if you plan ahead. You can sell the ores directly, or you can reprocess and manufacture. Ores can be converted into minerals, which are necessary components for manufacturing (AKA crafting). Ammo, modules, ships – pretty much any item can be crafted with the right materials and the right blueprints. Without manufacturers, EVE’s economy would collapse. All of that to say: mining and manufacturing can make you very rich. It’s the way to go if combat is not your preferred playstyle. EVE’s economy is complex. Not only is there an element of perpetual risk (cargo can be permanently lost if your ship is blown up), there’s also the element of distance. There’s no global auction house. Everything is regional. Items sold in one section of space can have vastly different prices than the same items sold on the other side of the universe. This opens up two playstyles that you’d be hard-pressed to find in any other MMORPG: hauling and arbitrage. Hauling is the act of transferring items from one station to another. As mentioned, it takes time and risk to carry items through space. Some players don’t want to do it, so they’ll pay other players (like you) to do it for them. Hauling contracts can be lucrative if you play it right. Arbitrage is the act of buying low in one station and selling high at another. It requires an intimate knowledge of the market flow, but it is can be one of the most profitable activities in the game. For those of you who are accountants, economists, and gamblers at heart, market arbitrage can provide for heart-pounding tension and a glorious sense of triumph. For more information, check out Matt’s post on inter-regional station trading 3 Ways For New Players To Enjoy Eve Online For Free 3 Ways For New Players To Enjoy Eve Online For Free New players with a dinky ship and a few million space-bucks may look at the cost of a PLEX and believe it far too expensive to afford. In fact, it’s not hard to come up... Read More . Finally, we arrive at the heart of EVE Online. Everything in the game ultimately leads to PVP combat. You may not personally participate in the action, but even if you’re just a miner or manufacturer, you’re supplying resources to craft items used in PVP. All of the PVE in EVE exists to fund PVP activities. 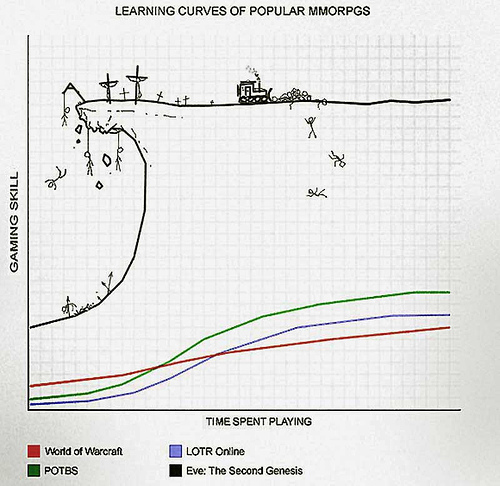 The most common form, of course, is straightforward open-world PVP. As a newbie, it can be tempting to hole up in high-security space due to the relative safety that it offers. That’s a big mistake. Nothing can match the thrill of PVP out in the open, whether it takes place in low-security space, null-security space, or wormhole space. It’s quite addictive. But don’t try it alone! There are several corporations that are newbie-friendly and PVP-oriented, designed to teach you the ropes and help you improve. Some recommended ones include Brave Newbies, Red Federation, Blue Republic, and Dreddit. All combined, that’s more than enough content to last you through your trial period; by then, you should know which activities you enjoy the most. If you don’t find any of the above appealing, there are a few more activities you can look forward to, but I won’t be covering that until next time. Do you play EVE Online? Have you thought about it but never really took the plunge? If you’re a veteran, got any advice for new players? Share your thoughts with us in the comments! First rule is Don't trust anyone. Rule two is don't fly what you can't lose. Ganking is legal, trade hubs like Jita are probably more dangerous than the lawlessness of space, etc. My advice? It's easy to get sucked into it. Don't let the game take over your life. Find good people to play with. However, by all means: find what you like to do, but learn from others, don't try to re-invent the proverbial wheel. 2. learn how to deal with dying, you'll probably do that quite a bit. 3. don't fly what you can't afford to lose. "Don't fly what you can't afford to lose" is rightfully the #1 rule of EVE Online and the game really opens up when you begin to embrace that truth. Ships are not characters! They're meant to blow up and you're meant to replace them. Expect it!